Our intention of this statement is to join the front against the eco-extremist tendency that has been given platform by the self-labeled ‘nihilist-anarchists’ in the US and Europe, from our sources we know that most of these individuals who endorse EE and keep continuing in giving them platform are using absurd reasoning and it’s post-modernist at best- we will discuss about this more below. It is funny though that most of the individuals in our network evolved from anti-civ and post-leftist discourses, even some of us have translated the writings of authors in AJODA: A Journal of Desire Armed (yes, including that boyfriend of ITS, Aragorn!). The critiques of the leftist movement have been useful in identifying the decadence of leftist populism in our territory, their dead-end strugglism and their social democratic tendency which aims to make “a more humanist capitalism,” therefore we find it obscure when the recent eco-extremists were using the terms “humanism”, “morality”, and even “sectarianism” in their absolutist communiques as if the corpse of Nechaev Jesuitism was resurfacing again. Are We Storming the Same Heavens? From their communiques and texts it is clear that most of these individuals don’t really have any actual experiences of consistent anarchic struggle in real life. Our experiences in whatever forms in our past actions have sometimes created a spontaneous solidarity with different tendencies of anarchists, where labels and dichotomies of adjectives were not that relevant. We found solidarity sometimes in the most unexpected way, even with those adherents of Murray Bookchin and those anarcho-syndicalists that we used to make jokes about. For us, this is a proof that when your fellow anarchists are fighting, for the ideas that you yourself also believed in but they were in a weak situation, then we cast aside all of our labels to divide each other and help each other out instead, because that’s what we really understand about being anarchists. Sure, there’s this never-ending drama, power struggle, and all of those aspects of the “movement” or “anarchist space” that the Eco-extremists seemed to be so proud in ridiculing (Anarchist Myth), like it had never been done before. The Eco-extremists were proclaiming that their holy sect doesn’t have such stupidity and they were composed of very dedicated individuals (priest-like posturing) who don’t share any of these weaknesses. It’s an almost superhuman characterization of themselves. Well, we don’t really care about their lives and what they really wanted to do, and they can boast all they like but more and more proof surfaces of their “semi-fictitious” claims and false-threats. Let alone their North American cheerleaders who have never really put their ideas into practice. Attention, we are not at all condemning all of North America’s nihilist and post-civ anarchists, only a few irresponsible assholes who seemed to have plagued us with this implicit Jesuitism of Eco-extremism. If we follow the early ‘birth’ of ITS at the same time when the FAI/IRF networks and anarchist action groups all around the globe (with their own different tendencies and beautifully communicating their ideas through fires, explosive packages to the rulers of the world, and the deafening sound of bombs against prison Schools, banks, and all for the purposes of putting a halt to the daily normality of capitalism, then you will understand the other type of ITS. The one that makes even the nihilist anarchist need to rethink, but then these early ITS cells had a strong analysis towards the general movement against technology and they had a criticism towards the idealism of John Zerzan and Ted K. We do share some parts of this critique and at the time their targets were not random people, their attacks were as sharp and deadly as their communiques. In one of their communiques they even give a salute and make a gesture of solidarity to anarchist action groups and our prisoners all around the globe. It was exciting. When we say that we agree with the first ITS communiques that doesn’t mean that we dismiss all of Zerzan’s critiques and ideas, nor that Ted K. did not have relevant critique to their aspects. The facts about strategies and tactics will not be something that comes from treating people as prophets or prophetic groups such as the people we mentioned earlier. We are against ideology. We are anarchists who believe and try to articulate self-revolutionary theory. Moreover, we have a very different geography and history, our implementation of the theories that we articulated for our own lives always showed some of its flaws and it also gave birth to a more coherent theoretical basis for our practices. Such as the Situationists said, “practice needs to find its theory again” and so on. When we talk or reflect about this on a decade of organizing and practice of what we believed in, we don’t have any doubt that we don’t want to give any platform to EE tendencies. 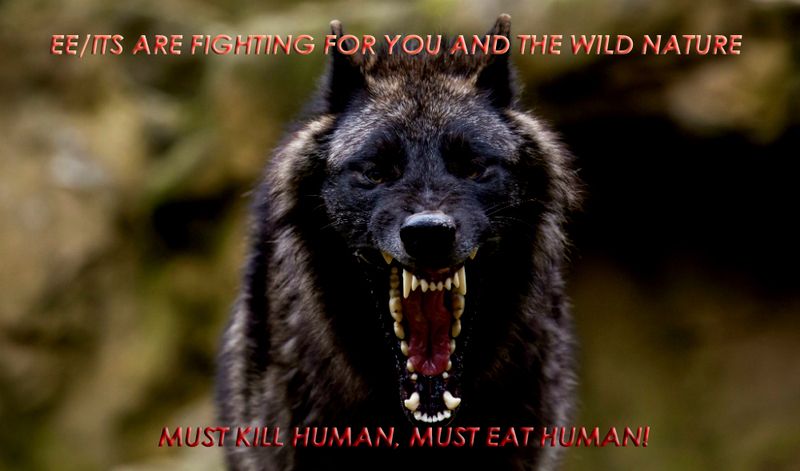 It is just incomprehensible for us, to understand this absolutist rhetoric of the “anti-human” and their actively advocating killing humans randomly just because they are human. And their previous killings in Mexico, on the mountain, or the one in Zapatista parade, showed that they are really this cowardly bunch who only have the guts to kill people who cannot fight back (we don’t care if it’s fictitious or not but their whole claims already explain what they are really advocating). How can we compare these EE claims to the FAI/IRF action groups that have targeting European rulers, even that imbecile nuclear promoter in Italy? We can’t, there is a clear difference. The insults of ITS against anarchists who died in Rojava and other places, even Brad Will! The anarchists whom we have never met but share their spirit and deeply admire them for their courage. And to make things more funnier ITS even tries to claim the legacy of fallen anarchists (even those who were active in the struggle of indigenous communities, which, yes, is a proof that those anarchists loved those communities and were capable of love towards their companions) such as Mauricio Morales and others. From latest information we heard that the EE cheerleaders who published books – Little Black Cart – (damn! we used to read their books!) were being denied to enter in one of the annual anarchist bookfairs in one city in the US, Seattle. If so, why don’t LBC make their own bookfair? We are sure that many half-brained self-proclaimed “nihilists” (the anonymous type that dwells on “Anarchist News”) will attend your solo eco-extremist bookfair. Those who fill Anarchist News comments that clearly doesn’t even know what they are talking about, due to their “white-know-it-all” logic. Most of them obviously have never even read the previous communiques of ITS and that of insurrectionary anarchists at that time, as there is a shared comprehensive understanding of the absurd ideas of humanism, representation, and joyous rebellion to destroy the present order. Our position is clear, we are in line with all the comrades who are against Eco-extremism, because judging from their communiques, we don’t share the same goal nor values. We reject their recent posturing, it doesn’t attract us and also their style of writings owes much to previous FAI/IRF communiques which they have tried to copy. Our fight against leftism is always within a context, our stand against the implicit Christian values in humanism, universal moralism, and the core values of civilization is very different. We are aiming at a different sky, different heavens to destroy. Whilst “you” promote your misanthropy for the sake of a “Wild Nature”. That sounds like the title for a great fiction novel about some distressed young man who spent too much time in front of the computer screen that likes to think of himself as the radical who sometimes goes to the mountains in order to get some spiritual feeling or some natural incantation that drives him to think of killing random people. Before you think we always agreed on things with other networks who publicly condemned you, you’re foolish to think that we always agree on anything, and yes that is our reality and we do not want any other one. Keep your perfect superhuman reality for yourself, because it sounds boring, it rhymes with the promised after-life inscribed in the Christian bible where everyone and everything is perfect. You exploit misanthropy into a universal moralism that you advocate. Although, most of us already feels that inertia within, yes, to your satisfaction most of us also felt the same way towards civilized humanity. But lack of an analysis and partial reading, probably lead you to believe that when one is against civilization that means we want to kill humans, random humans? We clap our hands to Scott Campbell, he stripped you naked for who and what you are. But especially most of us shared critique within the writings of The Edelweiss Pirates, it’s comprehensive. But just because you think we are stepping in line against you, that doesn’t mean that we will eventually be holding hands with other anarchist tendencies, the social-leftist anarchists, and vice versa. No. Because people who never put their theory into practice will never understand the ‘beauty’ of anarchism even in our conflicting tendencies. The anarchist counter-information group, 325, years ago defined them as Civil-anarchists. Yes, the very collective who printed that pamphlet condemning those characteristics for the first time is that group that your cheerleaders love to smear. And for those US cheerleaders, if you took notice of the pamphlet “Against Eco-Extremism” most of it is writings of action groups. They understand what they write and why they think they need to state that publicly. The drama is on your circle, not on us or ours. So, Monsieur Aragorn is still confused or doesn’t have any idea about why this hostility will continue even though he also continues to help to give platforms to Vasquez and Eco-extremism. It’s to ignore the EE insults towards the anarchists who died in Rojava, or Brad Will, when they beat an anarcho-punk to death after a Zapatista demo, the hikers on the mountain, and others whom they think as worthless humans that don’t deserve to live for another day. Well, we really don’t care about your goal in your amazing consistency of giving a platform to the EE tendency and the silly circle of the “nihilist”-anon. Maybe your goal is to always maintain your skepticism by not doing anything in your real life for the rest of your pathetic nihilising existence. Well, if that is the case then we are sure we are not on the same path, and you are in a very different reality. Keep up the good work! We felt the need to mourn Kevin Garrido’s death as some of us understand the realities of prison and how prison effects on individuals. We don’t care if he explicitly said he was not an anarchist, but the action that he was imprisoned for already speaks for itself. We also don’t care if the Eco-extremists claim him as “one of theirs” as we still feel the same affinity to what he had done. But we noticed the Eco-extremist hypocrite of the “Maldicionekoextremista” who hates humans so much eventually turned into a tree-hugging hippy for Kevin Garrido, posting love poems to his fellow human. So the EE theorist can love a human too after all! “Of course, I am under no illusions. I know my deeds will not yet be understood by the masses who are unprepared for them. Even among the workers, for whom I have fought, there will be many, misled by your newspapers, who will regard me as their enemy. But that does not matter. I am not concerned with anyone’s judgment. Nor am I ignorant of the fact that there are individuals claiming to be anarchists who hasten to disclaim any solidarity with the propagandists of the deed. They seek to establish a subtle distinction between the theoreticians and the terrorists. Too cowardly to risk their own lives, they deny those who act. But the influence they pretend to wield over the revolutionary movement is nil. Today the field is open to action, without weakness or retreat. Alexander Herzen, the Russian revolutionary, once said: “Of two things one must be chosen: to condemn and march forward, or to pardon and turn back half way. We intend neither to pardon nor to turn back, and we shall always march forward until the revolution, which is the goal of our efforts, finally arrives to crown our work with the creation of a free world. In that pitiless war which we have declared on the bourgeoisie, we ask for no pity. We give death, and we know how to endure it. So it is with indifference that I await your verdict. I know that my head is not the last you will cut off; yet others will fall, for the starving are beginning to know the way to your great cafes and restaurants, to the Terminus and Foyot. You will add other names to the bloody list of our dead. 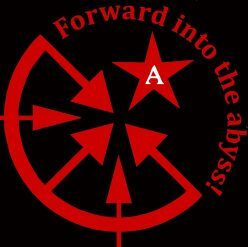 Forward, always, into the Abyss! Individualist Network and Indonesian Anarchist Black Cross.